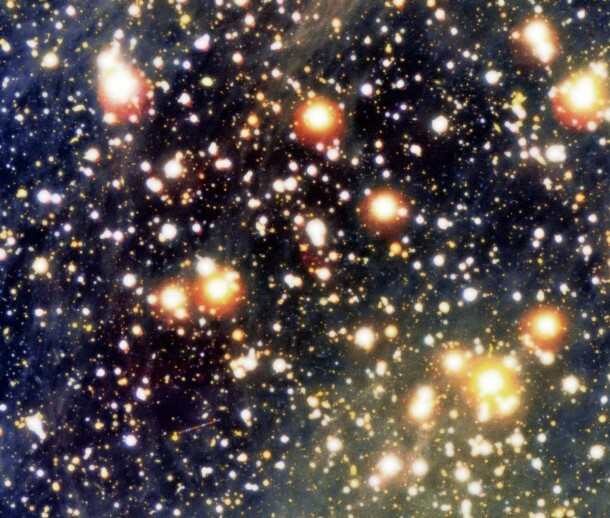 Headlines > News > First Signs of Weird Quantum Property of Empty Space? 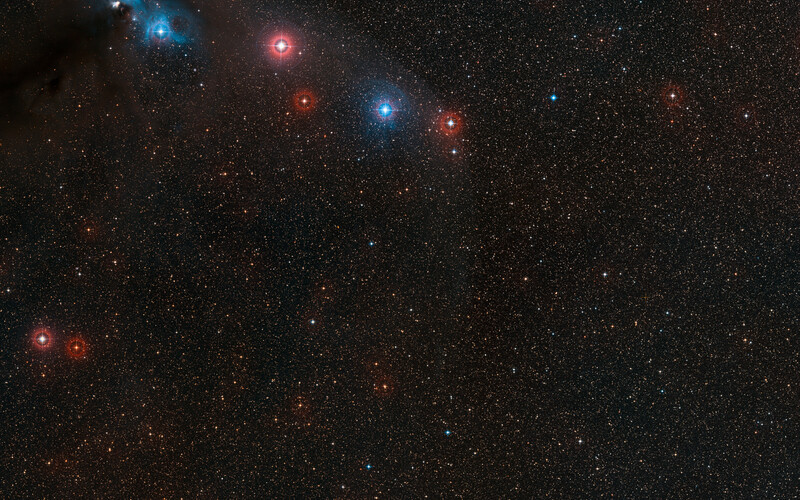 VLT observations of neutron star may confirm 80-year-old prediction about the vacuum. By studying the light emitted from an extraordinarily dense and strongly magnetised neutron star using ESO’s Very Large Telescope, astronomers may have found the first observational indications of a strange quantum effect, first predicted in the 1930s. 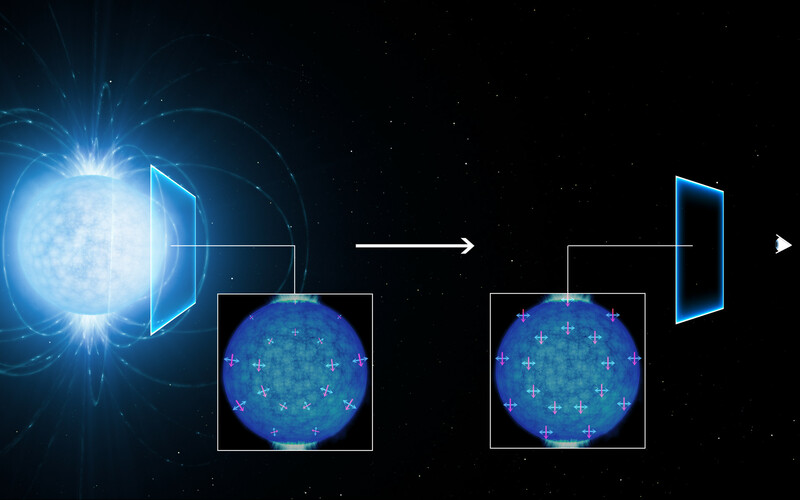 The polarisation of the observed light suggests that the empty space around the neutron star is subject to a quantum effect known as vacuum birefringence. A team led by Roberto Mignani from INAF Milan (Italy) and from the University of Zielona Gora (Poland), used ESO’s Very Large Telescope (VLT) at the Paranal Observatory in Chile to observe the neutron star RX J1856.5-3754, about 400 light-years from Earth . Neutron stars are the very dense remnant cores of massive stars — at least 10 times more massive than our Sun — that have exploded as supernovae at the ends of their lives. They also have extreme magnetic fields, billions of times stronger than that of the Sun, that permeate their outer surface and surroundings. These fields are so strong that they even affect the properties of the empty space around the star. Normally a vacuum is thought of as completely empty, and light can travel through it without being changed. But in quantum electrodynamics (QED), the quantum theory describing the interaction between photons and charged particles such as electrons, space is full of virtual particles that appear and vanish all the time. Very strong magnetic fields can modify this space so that it affects the polarisation of light passing through it. Among the many predictions of QED, however, vacuum birefringence so far lacked a direct experimental demonstration. Attempts to detect it in the laboratory have not yet succeeded in the 80 years since it was predicted in a paper by Werner Heisenberg (of uncertainty principle fame) and Hans Heinrich Euler. “This effect can be detected only in the presence of enormously strong magnetic fields, such as those around neutron stars. This shows, once more, that neutron stars are invaluable laboratories in which to study the fundamental laws of nature.” says Roberto Turolla (University of Padua, Italy). After careful analysis of the VLT data, Mignani and his team detected linear polarisation — at a significant degree of around 16% — that they say is likely due to the boosting effect of vacuum birefringence occurring in the area of empty space surrounding RX J1856.5-3754 . “The high linear polarisation that we measured with the VLT can’t be easily explained by our models unless the vacuum birefringence effects predicted by QED are included,” adds Mignani. “This measurement, made for the first time now in visible light, also paves the way to similar measurements to be carried out at X-ray wavelengths,” adds Kinwah Wu (UCL/MSSL, UK). This object is part of the group of neutron stars known as the Magnificent Seven. They are known as isolated neutron stars (INS), which have no stellar companions, do not emit radio waves (like pulsars), and are not surrounded by progenitor supernova material. There are other processes that can polarise starlight as it travels through space. The team carefully reviewed other possibilities — for example polarisation created by scattering off dust grains — but consider it unlikely that they produced the polarisation signal observed.